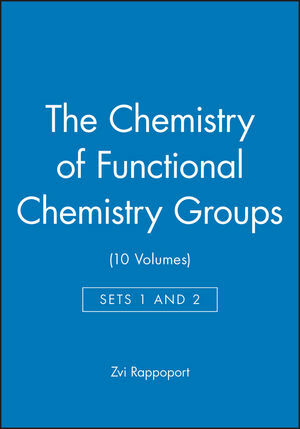 The Patai Series publishes comprehensive reviews on all aspects of specific functional groups. 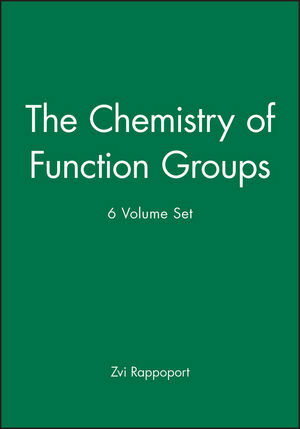 Each volume contains outstanding surveys on theoretical and computational aspects, NMR, MS, other spectroscopical methods and analytical chemistry, structural aspects, thermochemistry, photochemistry, synthetic approaches and strategies, synthetic uses and applications in chemical and pharmaceutical industries, biological, biochemical and environmental aspects. The Patai Series is available in electronic format on Wiley InterScience. All new titles will be published online and a growing list of older titles is added every year. It is the ultimate goal that all titles published in the Patai Series will be available in electronic format. 1 Dynamics of the reorganization behavior of organolithium compounds (Gideon Fraenkel). 2 Organolithiums as useful synthetic intermediates for tandem reactions (Alvaro J. V´azquez, Raquel G. de Waisbaum and Norma Sbarbati Nudelman). 3 The chemistry of acyllithium derivatives (Carmen Najera and Miguel Yus). 4 Intramolecular carbolithiation reactions (Francisco J. Fañanás and Roberto Sanz). 5 Structure and dynamics of chiral lithium amides (Göran Hilmersson and Johan Granander). 6 Chiral lithium amides in asymmetric synthesis (Daniel Pettersen, Mohamed Amedjkouh and Per Ahlberg). 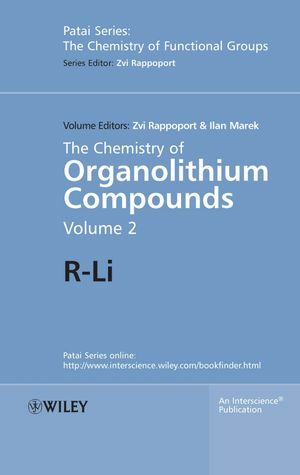 7 The lithium metal reduction of π-conjugated hydrocarbons and fullerenes (Ivan Aprahamian and Mordecai Rabinovitz). 8 Aspects of the synthesis, structure and reactivity of lithium enolates (Jean-Yves Valnot and Jacques Maddaluno). 9 Chemistry of ketone dilithio dianions (Ilhyong Ryu and Hiroyuki Nakahira). Table of Contents of Volume 1.